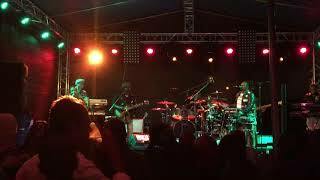 A fusion of all musical styles that represent Soul, Reggae, Seggae, Zouk, Ballad and Sega, Jason Heerah & Otentik Groove are not to be missed. This project optimizes cool. 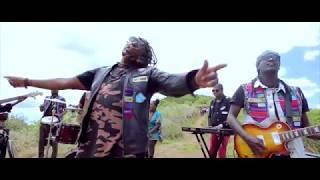 It’s collaboration between a group of Mauritian based well respected musicians who go under the name Otentik Groove and Australian born Mauritian artist Jason Heerah. 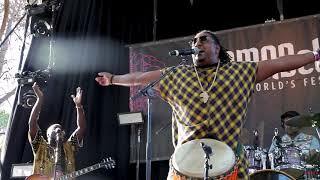 Jason Heerah is known as one of the best singing drummers in the world and his 2015 single Seggae Paradise (feat Zulu) was a candidate for ‘Disc de l’annee’ (hits of the year). This was the first collaboration with Chris Jo Clair and his group Otentik Groove in the studio. Jason has always been proud of his Mauritian heritage, the culture and music that stems from Mauritius and feels a strong connection there. His debut independent album ‘Chasing Love’ recorded in Melbourne (AUS) was released in 2016 tied in with a historic inspired film clip by Island Music Label which got rave media attention for Jason’s music and connection with Mauritius. 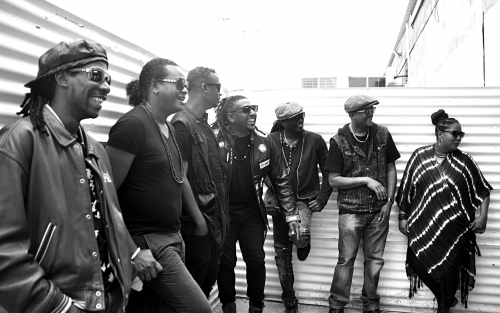 Otentik Groove, led by producer Chris Jo Clair, has played together for over 10 years and has had international touring success all over the world. 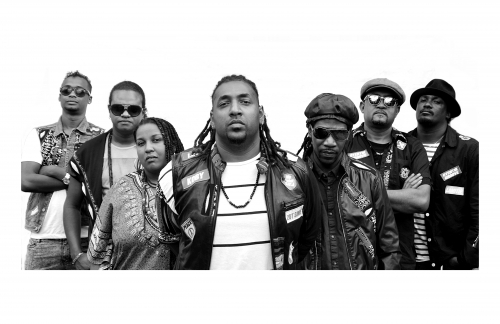 The band is a constant staple to the modern Mauritian Sega and Seggae sound on radio in their country. 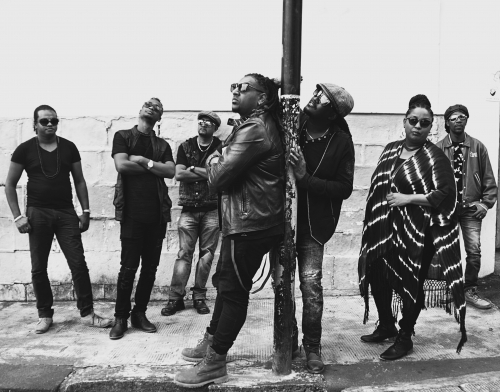 They’ve played on countless albums for artists in Mauritius, Reunion and Seychelles such as Linzy Bacbotte, OSB, Nancy Derouger, Mario Justin, Allan Ramanisum, Laura Beg, Blakkayo, Nirvana Studio Production (La Reunion), Nasty Black, Tian Corentin, and Boyzini just to name a few. The collaboration between the two forces stems from the success of LIN & OTENTIK GROOVE on the album ‘Mo Recompans’. Jason was approached in 2015 by Chris Jo Clair to assist in backing vocal arranging, drumming and percussion duties on the album. The rest is history and the first single off the album ‘Emporte’ (feat Jason Heerah) sold over 15,000 units and counting – giving them the tittle of album of the year in Mauritius. The album had three songs as ‘Disc de l’annee’ 2016 on three different radio stations – Radio Plus, Radio One, MBC Radio. The hit ‘Sans Ou’ has more than 2 million views and counting on YouTube. 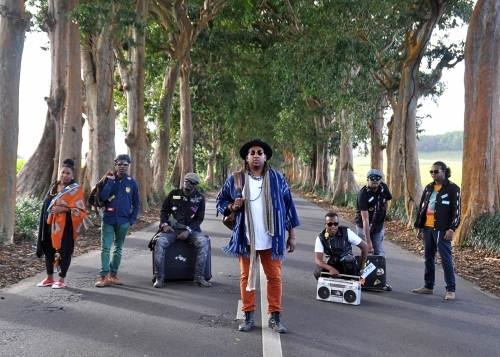 LIN & Otentik Groove has toured the album in France, London, Switzerland, La’Reunion, Rodrigues Island & Australia. 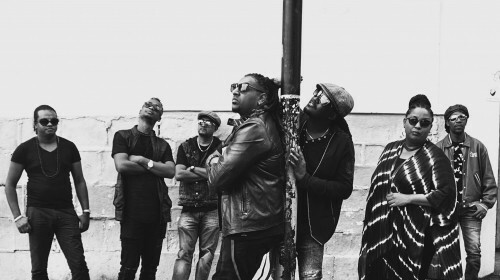 This collaboration wasn’t by any means going to stop there – hence the birth of their new project for 2017 ‘NOU SIME’. The album is a current representation of where the musical collaboration and vision is. Although it sings of all kinds of life’s realities, passions, truths & love they have paid most attention to stay on that positive vibe of music for the people. The album is 80% in Mauritian creole and has some stand out English tracks. 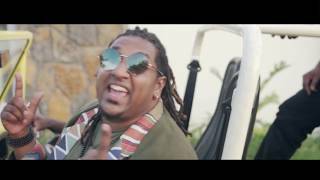 The first single ‘LEVE’ (feat Laura Beg) won Disque de L’annee 2017 on Radio One in Mauritius only 3 months after its release. The official Clip for Leve (feat Laura Beg) has reached over 3 Million views on YouTube in less than 12 months. 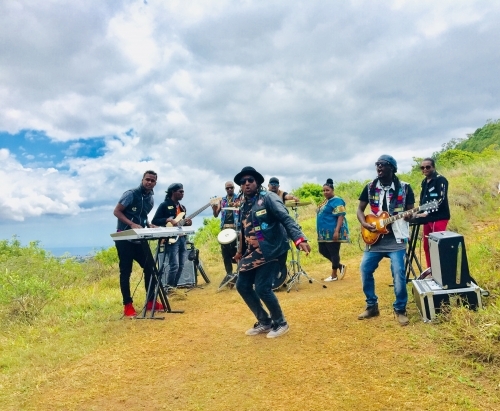 The second single ‘KIFER TO PALE DANSE’ was released officially on YouTube in April 2018 and has 1.5 Million views in 6 months and is a sung around the Islands of Mauritius, Rodrigues, Reunion and Seychelles like a national anthem as one of the most popular hooks of 2018. ‘Kifer to Pale Danse’ the single and the JH JUNGLE REMIX has been added on high rotation on the main radio stations in Mauritius NRG Maurice, Radio Plus and Radio One. The album ‘Nou Sime’ is a major success in the Mauritian community worldwide including France, UK. , Canada, Switzerland, Australia, Rodrigues, Reunion Island and Seychelles. 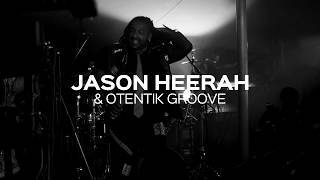 Jason Heerah & Otentik Groove launched the album and live show in Mauritius on 28th October 2017. 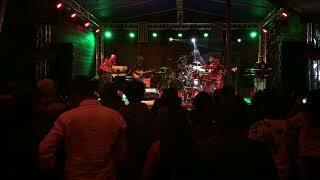 The Live show has been performed at festivals and shows such as WOMADelaide 2019 (Australia), MOSHITO MUSIC CONFERENCE 2018 (South Africa), MAURITIUS OPEN AIR FESTIVAL 2018 (London, UK) ONE LIVE MUSIK FESTIVAL (Mauritius), FESTIVAL KREOL (Seychelles), FESTIVAL KREOL (Rodrigues), MUSIK FEST 2K17 opening for (KALASH (FR) (Mauritius), FESTIVAL KREOL (Mauritius), BARKLEYS BANK EOY Party 2017, MCB BANK EOY Party 2017, MOSHITO FESTIVAL 2018 (South Africa), AFROBEATS FESTIVAL 2018 (Mauritius) opening for TEKNO MILES (NGR), and FETE CAF REUNION ISLAND 2018 (as headliner at Reunion Island).